Some of the patches require root access (if you want to know how to root, Google search: how to root <insert your device name>). Some apps even include custom patches that add, and get rid of things that we want/don't want. Best of all, all of these patches are reversible in case you want to sell or get servicing done on your device. Last edited by hackinformer on Mon Dec 15, 2014 8:44 pm, edited 1 time in total. it is an awesome app! I use it for removing ads from google play apps and for create new modified apks. It is the best "fast app hacking tool" for andro. How easy is it for a 1st timer rooting a device? It is easy if you follow a guide step by step, but you should search for a guide or tutorial for your specific phone brand and model. i wanted to do it for my samsung galaxy tab s3. i wanted to get the modded battleborn tap game. 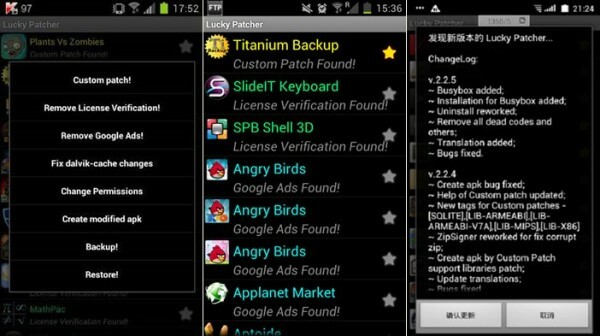 I have used luckypatcher and freedom app both, on android smartphone and windows pc. Freedom works way better than luckypatcher when it comes doing free in-app purchases at ease. Atleast on my end ! Love using lucky patcher on the android Emulator. Tried to find a guide to root my old Note 4 but was so confused and people kept telling me a bunch of different things. I live for lucky patcher now. been loving it since the day i see this beautiful in apknite. especially when it comes to blue stack! makes game so easy for me now. ps: feel bad for being a cheater!